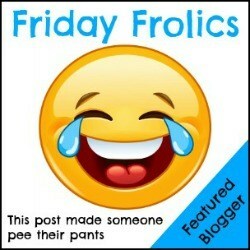 Welcome to Friday Frolics – The linky with the giggles, and the place for all of your funny posts. Hosted by myself, Lucy (R is for Hoppit) and Emma (Island Living 365). In September I will be relaunching the Rookie Mistakes series. I would love to have you on board with your amusing tales of parenting fails. Submit your posts to me as a newbie to Rookie Mistakes, or come back for more if you have featured before. It’s a great series which gets a lot of love. Find out more details here. Friday Frolics will continue to run over the summer holidays but only one of us will be commenting on the posts each week. The host commenting will be the only one linking up a post so there is less for you to comment on also. This week Lucy will be commenting. The Mumatron – Face Wash – When did beauty get so tech? I’m so glad it’s not just me who doesn’t understand all the big fancy words on the labels! The Single Swan – The Joy of Having a Boy. A lovely post on the wonders of the unknown world of having a little boy. And I kind of want to see the sport of 9 month old niece sumo wrestling. Mummy Muckups: Is blogging Worth it? Please do check them out if you didn’t catch them last week. Make us laugh! Friday Frolics is all about the funny, so please no reviews, or how to make a finger puppet (unless of course they are hilarious). Include the Friday Frolics badge in the post that you are linking. If you do not include the badge you will not be eligible to feature as a Friday Favourite. Comment on one of each of the hosts posts, and at least one other post for every post you link up. Share the fun people! Use #FridayFrolics when you comment on posts so people can see where you are linking from. 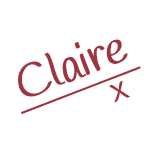 By joining this linky you consent to receiving e-mails from me about Friday Frolics. Follow us on twitter and tweet your links to @lifeloveanddd @sillymummy88 and @islandliving365 using #FridayFrolics for a RT. The Linky will open at 8:00pm on Thursday evening, and close at 11pm on Sunday. « When is the right age for children to go it alone in changing rooms?